U.S. Rep. Marsha Blackburn, R-Tennessee, not only won her U.S. Senate race Tuesday but made it look easy in a nearly 11-point win over former Gov. Phil Bredesen. Even as the country was sending Washington, D.C., into two years of potential gridlock by electing a divided Congress on Tuesday, Republicans surprisingly tightened their grip on Tennessee. Not only will the Volunteer State see a Republican governor succeed another one for the first time in 150 years, it will send a Republican woman to the Senate for the first time in history. That woman, U.S. Rep. Marsha Blackburn, not only won but won by nearly 11 percentage points in a race with popular former Democratic Gov. Phil Bredesen that many thought was still too close to call going into Election Day. She will succeed Chattanooga's Bob Corker, who chose to step down after two terms. Franklin businessman Bill Lee easily won the governor's race by nearly 20 percentage points over former Nashville Mayor Karl Dean. Republicans also retained their 7-2 advantage in Tennessee U.S. House seats. Indeed, while there will be three new faces in the House delegation, the parties that held the seats won no less than 63.9 percent of the vote. In the state legislature, the GOP retained its super-majority status in both houses of the General Assembly, though some of the top leadership will change. Interestingly, the seats of Republican Speaker of the House Beth Harwell and Democratic House Minority Leader Craig Fitzhugh — who ran unsuccessfully for their respective party's gubernatorial nomination — both flipped, with Harwell's Nashville seat going to a Democrat and Fitzhugh's rural District 82 seat going to a Republican. Hamilton County will have three new state House members, with Republican Robin Smith in District 26, Democrat Yusuf Hakeem in District 28 and Republican Esther Helton in District 30 all winning open seats. 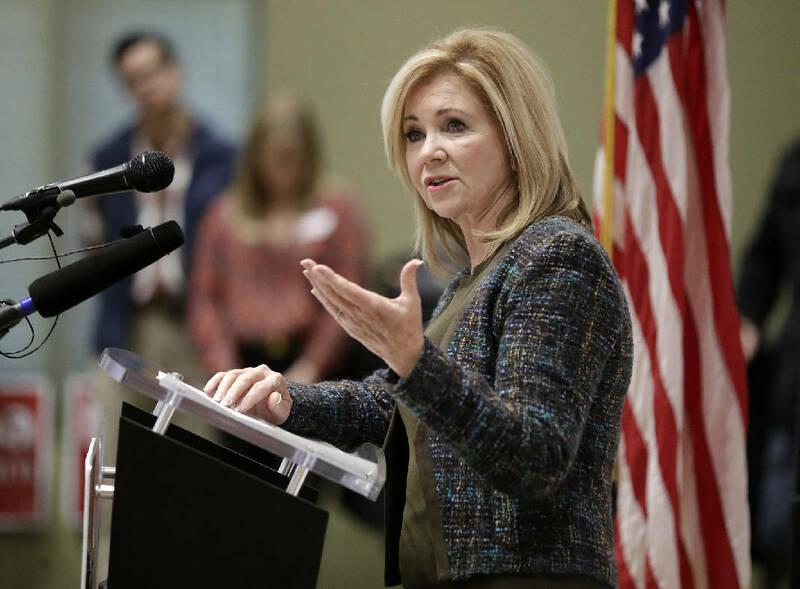 Although much of the above was expected, it was Blackburn who not only exceeded expectations but helped Republicans nearly run the table in Senate races that had been rated toss-ups on Tuesday in the average of recent polls by Real Clear Politics. Whoever won Tennessee's Republican nomination for Senate would have been the clear favorite, but U.S. Senate Minority Leader Chuck Schumer, D-New York, personally recruited Bredesen, 74, who last won statewide public office in 2006, to run. Bredesen smartly cast himself as a moderate, suggesting he'd agree with President Trump when it made sense and oppose him when it made sense. His ads openly and candidly said, "I'm applying for the job." It was a good strategy, but the heated campaign exposed the former governor's monetary support of 2016 Democratic presidential candidate Hillary Clinton, his indecision on whether to support U.S. Supreme Court nominee Judge Brett Kavanaugh, and the revelation by campaign staffers — in a secret video — that the candidate had no intention of supporting Trump and that his late, tepid support of Kavanaugh was a sham. Blackburn said she'd be a loyal soldier for Trump, who is popular in the state and lost only three of the state's 95 counties in 2016. The electorate bought her story and rejected Bredesen in what became by far the most expensive race in Tennessee history. Blackburn is expected to be joined in the Senate by Martha McSally in Arizona in winning open seats held by Republicans, while Rick Scott in Florida, Mike Braun in Indiana and Josh Hawley in Missouri all knocked off incumbent Democrats (while only one incumbent Republican was defeated). Over the past 21 mid-term elections before Tuesday, the party of the president in power lost an average of four seats in the Senate. In that area, Republicans overachieved, especially since polls only Monday favored Democratic incumbents in Florida and Missouri and the Democrat in the open seat in Arizona. The House was another story but its change in control was not unexpected, given that Democrats had been predicting a Blue Wave for many months. Far from a Blue Wave, though, the party's House gains are expected to settle at around the 30-seat average the president's party has suffered over the past 21 mid-term elections. Although Republicans suffered a net loss in governorships, they did better than expected, picking up seats that polls said they wouldn't win as late as this week in Florida, Georgia and Ohio. What all of that means for the country in the next two years will be largely up to Democrats, who can choose to continue to obstruct the president at every turn and begin needless House investigations, or can attempt to see where compromise is possible. President Donald Trump, for his part, spoke in a news conference Wednesday of the potential for a "really beautiful bipartisan type of situation." Our belief is that continued obstruction by Democrats will be to their disfavor and will give the president a convenient target for his re-election campaign 2020. Their treatment, and that by their media allies, of Kavanaugh, after all, has been suggested as the match that re-ignited Republicans to make their Senate gains. "Two years will go by," Trump said of such a scenario, "and we won't have done a thing." On the other hand, we hope in Tennessee our Republican governor-elect and the Republican-dominated General Assembly with which he'll work will indeed try to tackle some of state's most vexing problems and will make — in Lee's words Wednesday — "a very good place to live ... even better."